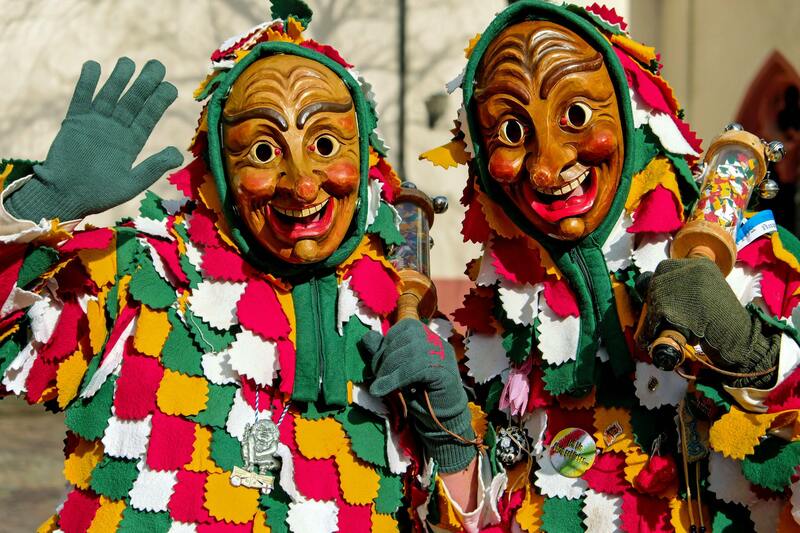 Carnival is what makes every February a memorable month all over Italy, with its folkloristic and colourful masks and customs. As you might guess, what interests us the most during this festivity is the abundant amount of Carnival sweets we can find around! 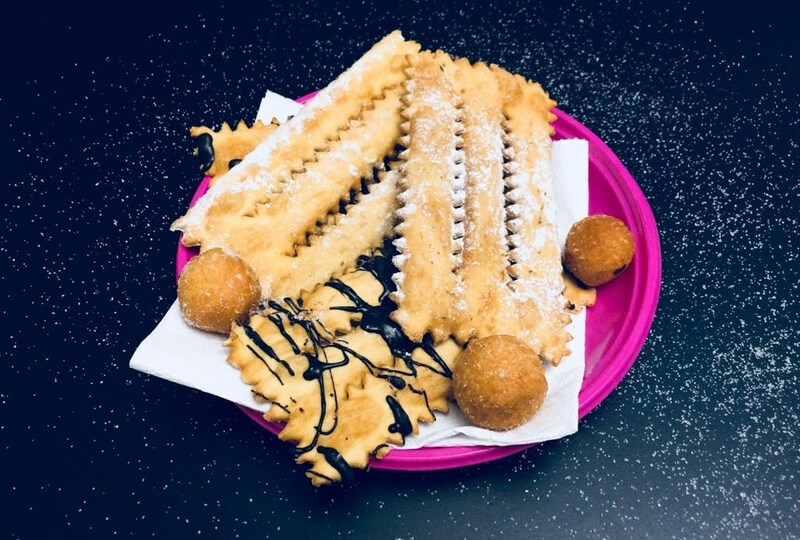 Indeed, fried pastries are definitely the milestone of Carnival food and the most representative and historical one is definitely the “Chiacchiere”. The origin of Chiacchere dates back to ancient Roman times. The Romans used to make sweets called “frictilia” – with eggs and flour, fried in lard – to celebrate Saturnalia, which was the ancient feast of the god Saturn, the equivalent of today’s Carnival. Frictilia was a simple and cheap sweet to make in big quantities in order to be distributed to the crowds celebrating in the streets. It was considered the sweet of the poor because only a few ingredients were needed. To make it more appealing, people have invented a lot of variations over time and nowadays, every region has its own recipe. Generally, lard has been replaced by oil and sometimes the sweets are even cooked directly in the oven. To make Chiacchiere, the dough is cut in to a ribbon-like shape, then fried in abundant oil and put on a paper towel to soak up the excess oil. They are served cold and covered with a dusting of icing sugar. They can also be covered with chocolate powder, honey, melted chocolate or even Alchermes (an Italian liquor). There exists a legend from Naples that tells us another version of the origin of the name of this Carnival sweet. It is said that they were born thanks to a Savoia Queen. She was going to spend the afternoon at court with some friends when she decided that she wanted something special to offer to her guests. The chef Raffaele Esposito made for her some sweets and she decided to call them “Chiacchiere”, which means “chats”, as they were created to cheer that afternoon chat between the Queen and her aristocratic friends. Regardless of where the name comes from, the fact that this sweet has been made for such a long time is proof of its goodness. If you haven’t been to Italy yet, then you should most certainly go NOW in order not to miss them! And if you pass by Rome, you might even consider joining our special Carnival class that will take place on Thursday, February 8th, in order to learn how to make your own Chiacchiere at home.